Soon you might have to answer this question, as multiple companies are coming out with products that fit this niche you probably don’t want. Today, the Consumer Electronic Show (CES) opened its doors, and at least two gaming devices have been shown that will have tiny screens attached to giant controllers. 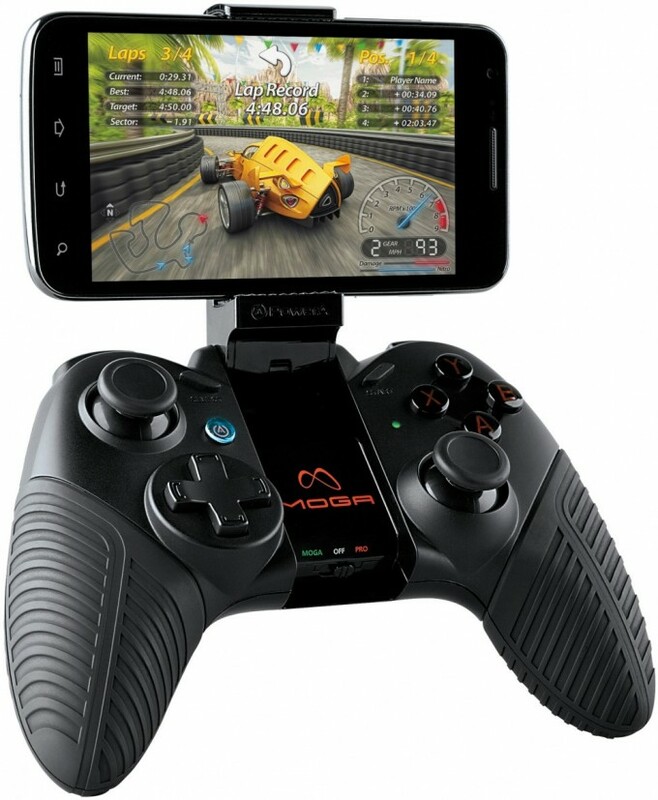 As reported by Android Central, the MOGA Pro will have all manner of standard console buttons that will somehow be used in the stead of touch based controls. Or there might even be games that have “controller mode” or something. Who knows. 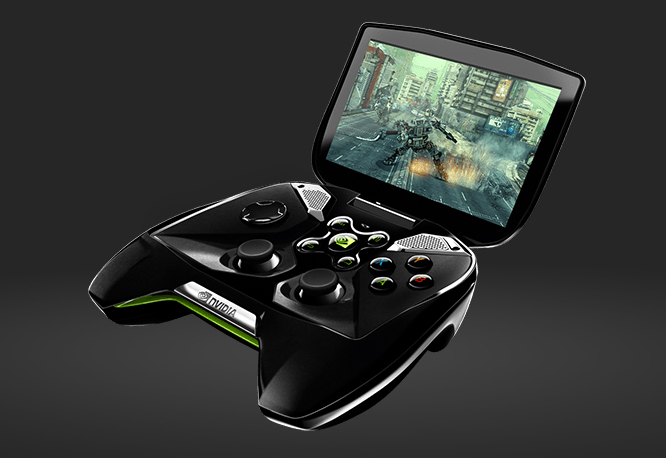 The more interesting of these two devices is from Nvidia currently called Project SHIELD. Take your gaming anywhere with Project SHIELD, a gaming portable designed for gamers who yearn to play when, where and how they want. With the advanced processing power of NVIDIA® Tegra® 4, a full-size game controller, breakthrough Wi-Fi technology, and stunning HD video and audio, Project SHIELD redefines what gaming can be. This thing is going to redefine gaming SO HARD. The one interesting bit this console/handheld thing has going for it is the ability to stream games from your PC to your television. And not just any games, but Steam games, hooray! Actually, you can stream whatever, it seems, but titles in your Steam account are included in this. You do have to have certain Nvidia graphics cards to utilize this feature, but it is interesting nonetheless. Too lazy to simply move your PC tower into the living room? Or perhaps instead of that 24″ monitor you want to play Battlefield 3 on a five inch screen? Well this might be the answer you didn’t have a question to. We will have to see how this all turns out, but for now, you can look forward to the MOGA Pro sometime in the future (who cares, honestly?) and Project SHIELD in Q2 of this year. Update: The Verge has some hands on video now. 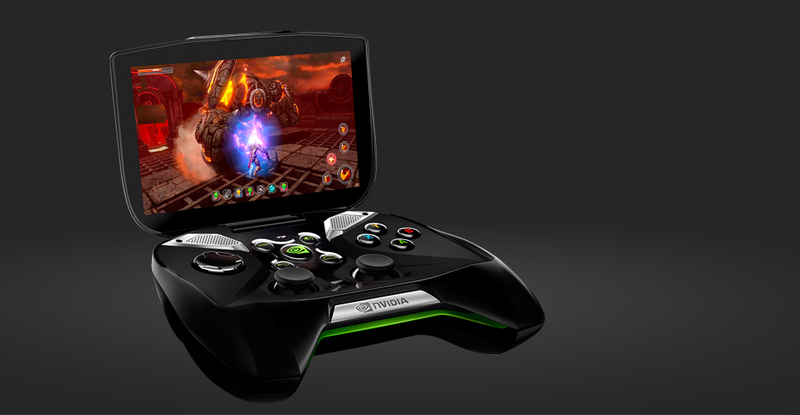 CES — NVIDIA today announced Project SHIELD, a gaming portable for open platforms, designed for gamers who yearn to play when, where and how they want. Windows and Android are the world’s most successful computing platforms, with massive ecosystems of system and software developers. While not specifically designed for gaming, both open platforms have drawn gamers by the millions. Project SHIELD is designed to allow them to enjoy Android and Windows games in a new, exciting way. Deep, rich audio is critical for a great gaming experience. And Project SHIELD provides fidelity and dynamic range never before available on a portable device, through its custom, bass reflex, tuned port audio system — with twice the low-frequency output of high-end laptops. NVIDIA (NASDAQ: NVDA) awakened the world to computer graphics when it invented the GPU in 1999. Today, its processors power a broad range of products from smartphones to supercomputers. NVIDIA’s mobile processors are used in cell phones, tablets and auto infotainment systems. PC gamers rely on GPUs to enjoy spectacularly immersive worlds. Professionals use them to create 3D graphics and visual effects in movies and to design everything from golf clubs to jumbo jets. And researchers utilize GPUs to advance the frontiers of science with high performance computing. The company has more than 5,000 patents issued, allowed or filed, including ones covering ideas essential to modern computing. For more information, see www.nvidia.com. © 2013 NVIDIA Corporation. All rights reserved. NVIDIA, the NVIDIA logo, GeForce, Tegra and PRISM are trademarks and/or registered trademarks of NVIDIA Corporation in the U.S. and other countries. Other company and product names may be trademarks of the respective companies with which they are associated. Features, pricing, availability and specifications are subject to change without notice.